In the final hours of our sibling bachelor party weekend for my younger brother we found ourselves in the Manitou Springs area of Colorado after driving through Garden of the Gods National Park. We attempted to drive up Pike’s Peak and were stopped at the main gate due to snow. 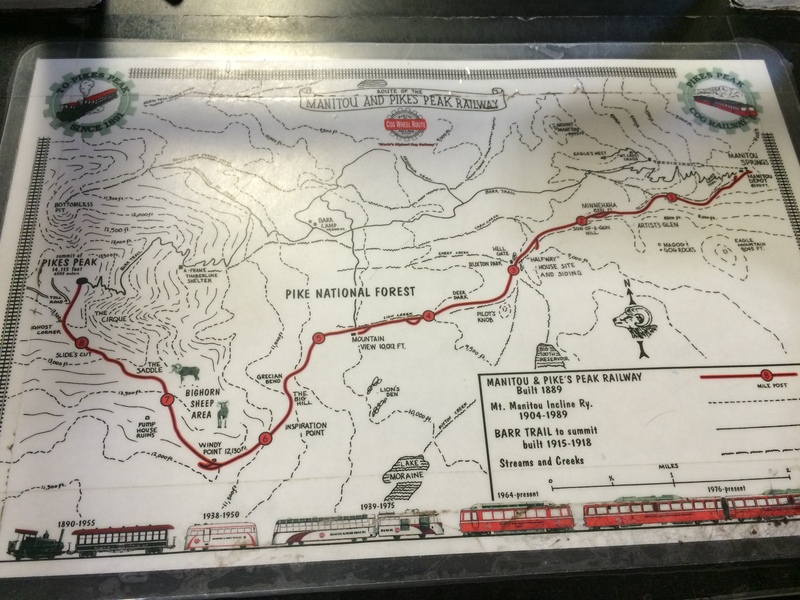 We decided to see if the Pike’s Peak Cog Railway was running and by golly it was. Have you ever taken an interesting train ride anywhere? 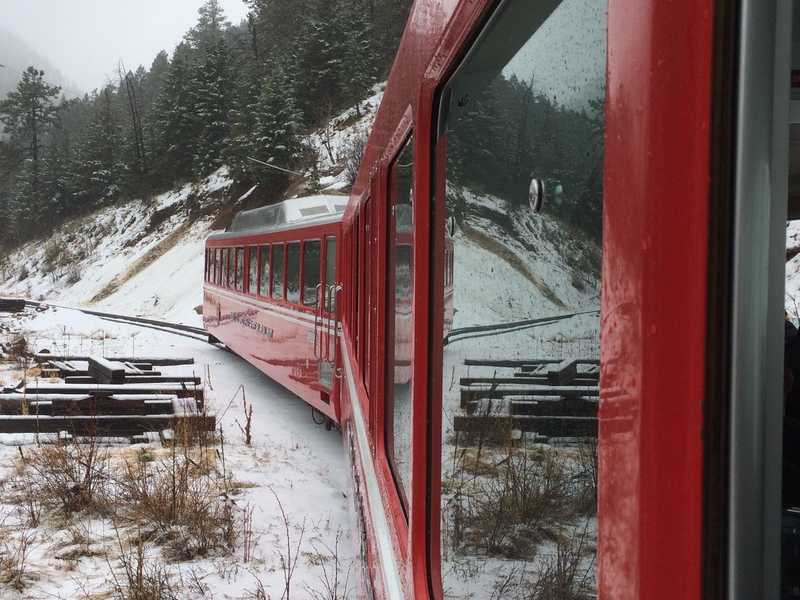 Have you ever ridden a cog train? 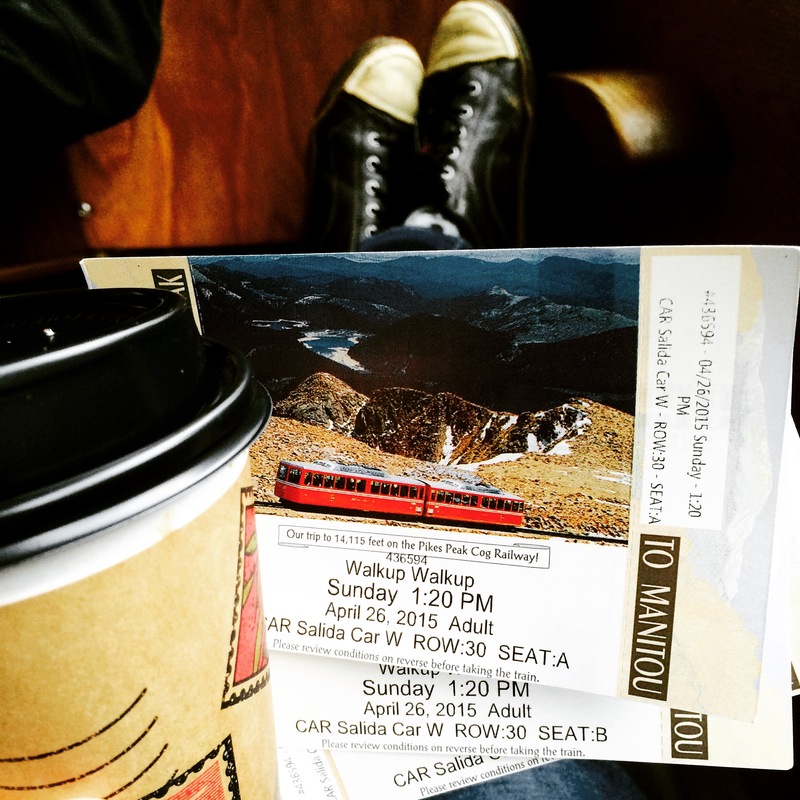 Tickets, hot chocolate, and a window seat! 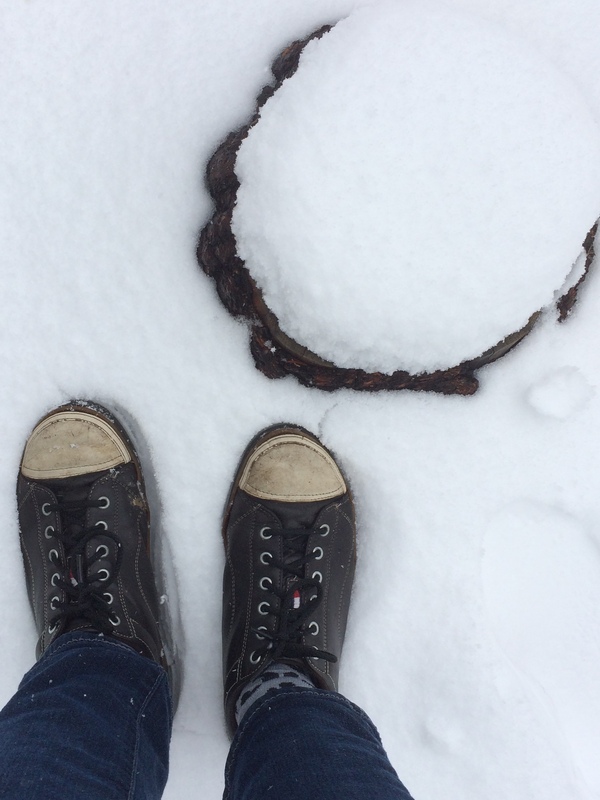 Ever wondered what a cog looks like in the snow? A view from hanging out the window in the snow. 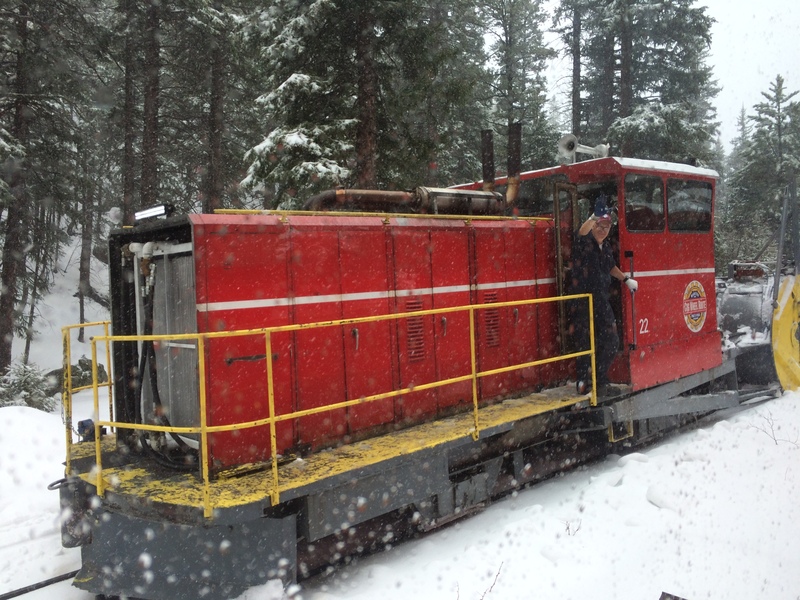 Just your friendly snow plow at aprox 9,000 feet elevation. 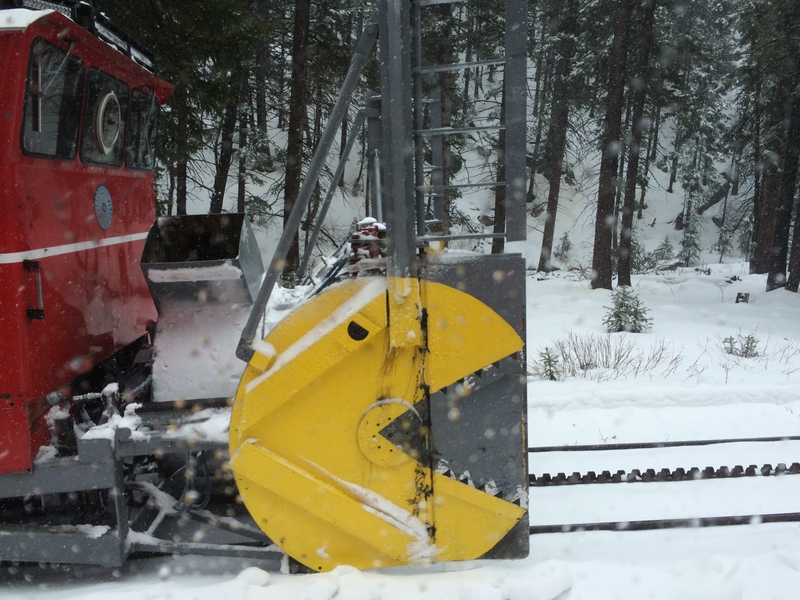 PacMan is going to eat that snow for dinner. Snowing and cold but we were able to de-train (is that a word?) and walk around before heading back down the mountain. There is a Jacobite train? Is the Conductor Bonny Prince Charlie? How cool! Enjoy the trip. I can’t wait to see photos from your trip. Have a great time! Thanks for sharing and commenting. The train was a fun way to see it for sure. 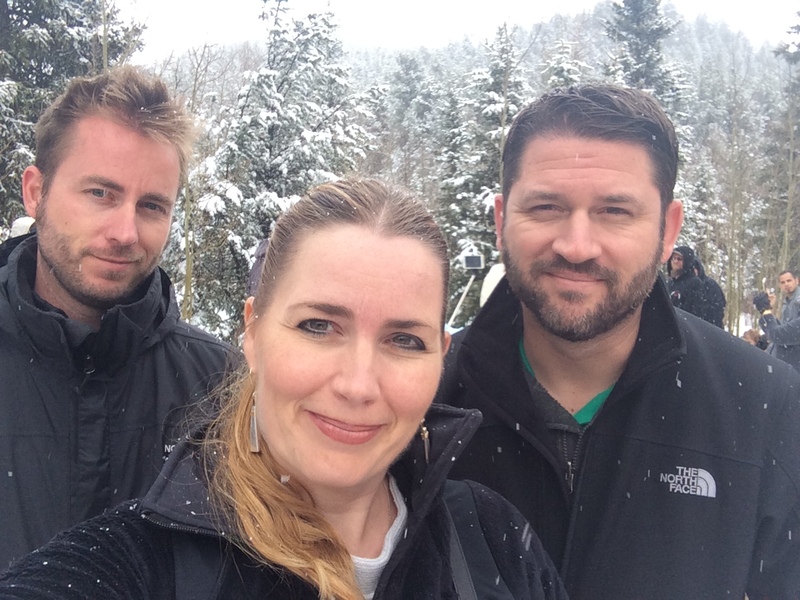 And it was fun to see it in the snow. 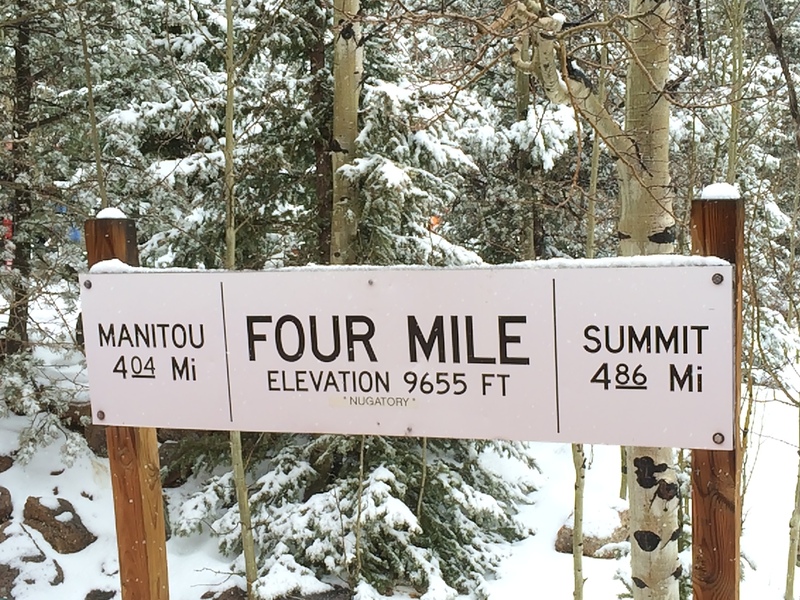 I think it would be fun to drive to the top in one of their pikes peak rally races! How neat that the train was running. If the road wasn’t closed you never would have had the experience. I drove up multiple times but never took the train. Thanks for shivering your way through the day so we could see it through your eyes. It climbs up the track on a cog instead of regular train wheels. It is the only means to get it up and down at such an extreme angle. 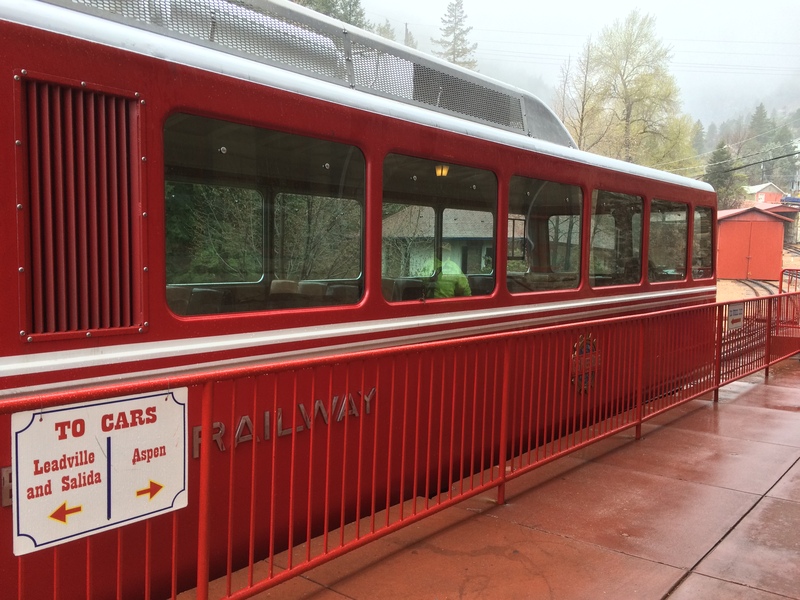 I’ve never heard of a cog train! sounds neat! The most interesting train ride (though it was short) I’ve ever done was in Australia. It was the steepest railway in the world! No way? 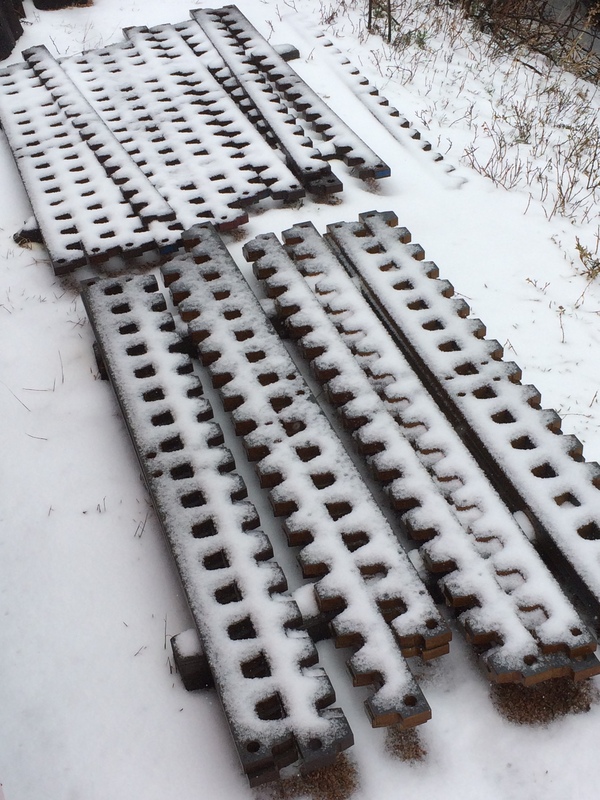 And it wasn’t a cog train? 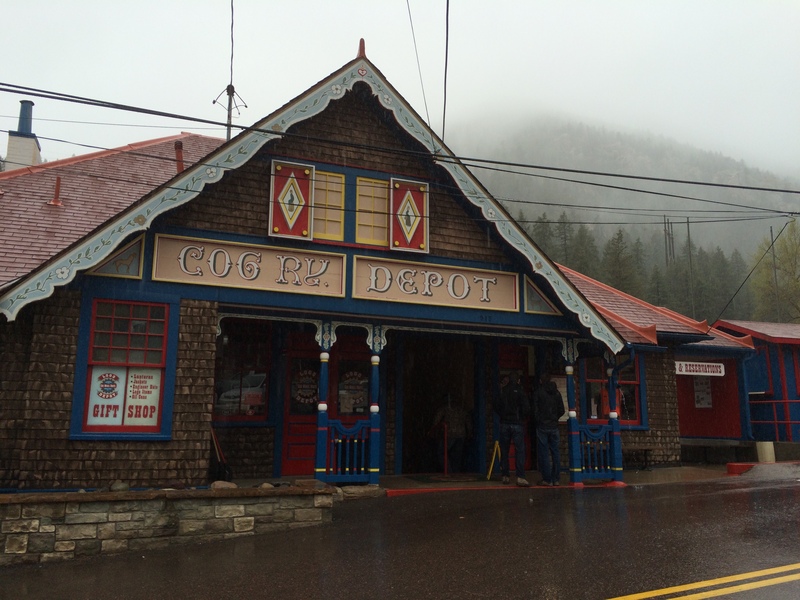 The lady at pikes peak said cog trains were the only kind of trains that could handle any kind of a grade. Fun for you! Engine is pretty against the snow. 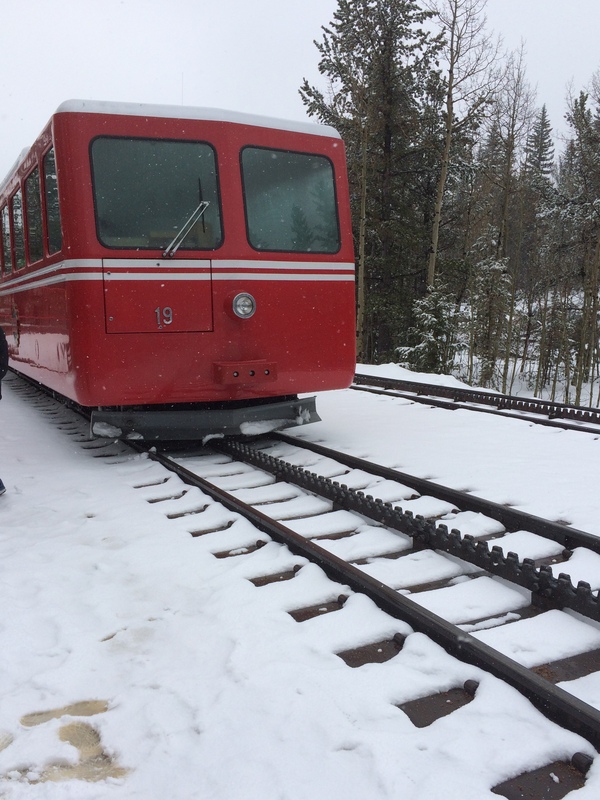 M’lady and I took some visitors on that cog rail early- mid-October one year. At the top the wind was blowing REAL hard and it was freeeeezing! Lovely!! Oh boy! Thankfully there was no wind for us. I don’t know. It was open when we were there in May at least partially. The road stopped at the gate due to snow. But the train went to the top. I don’t know about later in that year.